Play your way to five a day. 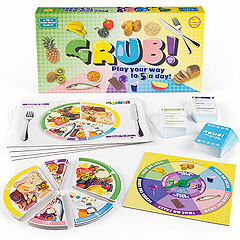 A multi-level healthy eating game to entertain and to challenge with fascinating facts about foods from all over the world. Be the first to fill your plate with a well-balanced diet. Earn food wedges by answering true and false questions about food and healthy eating. But beware! 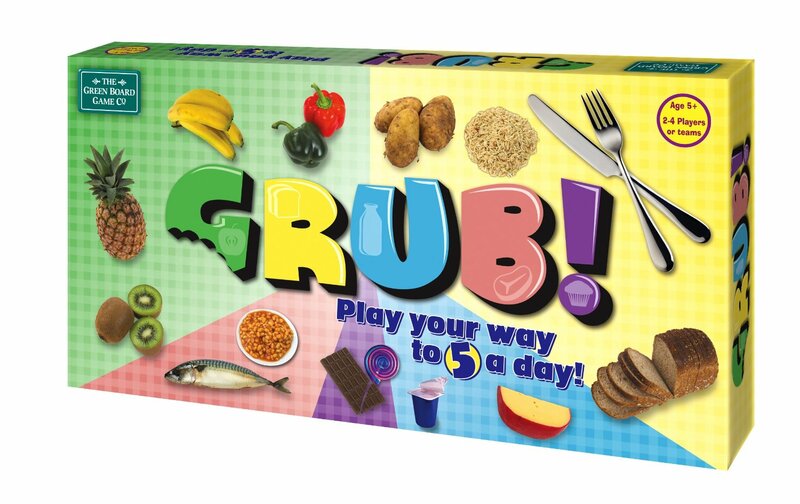 Other players will try and grab your grub! This game is made from recycled materials.